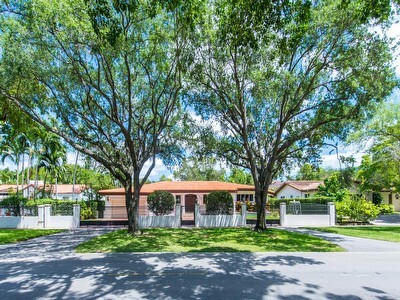 A new price for 3834 Kent Court in South Coconut Grove - Now listed at $1,999,500, Previously listed at $2,450,000. We are sure you have heard of the French Paradox, good food and skinny people. Now lets talk about the Kent Court Paradox. In the center of busy Miami and the quietude of nature. 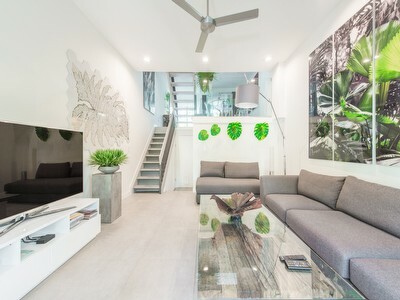 Located on a dead-end street in South Coconut Grove, the only thing waking you up in this home is the chirping of birds. Just a few blocks away is the Coconut Grove Village with its trendy boutiques, restaurants, and movie theatres. Ransom, Carrollton, and some of the best public international schools in Miami are also nearby. The Nano walls/doors allow light to flow throughout the entire house and provide an all-embracing view of the backyard garden and 45' heated lap pool. The 14,000 SqFt lot is fenced in, which gives its homeowners the utmost privacy, while still having great transparency. An Expansive Home and Togetherness. There are 3 expansive bedrooms and 2 large baths on each side of the social area. The vast kitchen, living room, and family room offer lovely sitting areas to enjoy your family and friends. Over 4,000 SqFt of Living Area and a 1-Story Home. This is a very rare find in Coconut Grove. This house is on one floor, with no steps inside the home. Imagine walking around and never worrying about missing a step. Two Mature Listing Agents and Beautiful. Call us with confidence, you won't be disappointed with this exceptional property. For more pictures and information about this property, click here. This 1 bedroom, 1 1/2 bath condo in Yacht Harbour was recently renovated to the latest interior trends. Its ample balcony is perfect for entertaining guests and for relaxing with a view of Biscayne Bay. Light flows throughout the condo with its large impact doors, making it bright and inviting. A private air conditioned storage unit, large enough to store bicycles, is included in the offering. An expansive pool, tennis courts, the concierge, and the "in-house" office management are some of the great amenities this condo has to offer. 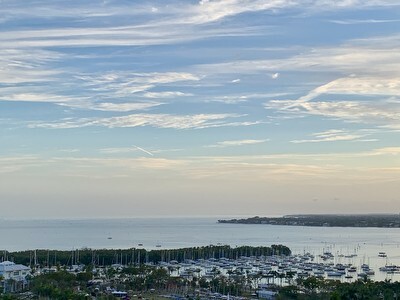 Yacht Harbour is one of the most desirable buildings in Coconut Grove. It is located one block away from the center of Coconut Grove.